Guidance is a fluid tapestry that barely flirts with self-importance. Unfortunately, the latter happens in opening song “Asa.” The track’s quiet and saccharine beauty seeps into the teeth, but then it lingers for too long. But with his forceful tom work, Dave Turncrantz bores through the haze to begin second track “Vorel,” which is good enough to make “Asa” seem like a distant memory. Guitarist Mike Sullivan crafts cold escarpments to give “Vorel” a black metal sheen. Turncrantz and bassist Brian Cook’s playing melds together like stones in the heart of a volcano as the song congeals into immense riffs that conjure the spirit of Pelican. 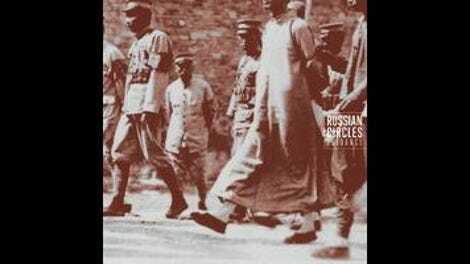 Russian Circles simply has one of the most powerful and tightly linked rhythm sections in rock. “Mota” follows with mesmerizing layers of bright guitar that Turncrantz injects with nervous energy—all before the song builds into cavernous post-rock. Next to “Vorel,” fourth track “Afrika” might be the strongest on Guidance. Initially, its washy tremolo seems a bit too familiar. Once again guided by Cook and Turncrantz, the song bobs and dips with a metallic wistfulness. Halfway through, Turncrantz introduces a tom groove that morphs throughout “Afrika” and culminates in the drummer playing the same pattern while bewilderingly keeping a halftime groove on his cymbals. Sullivan introduces a swarm of melody as Cook sends tremors through this environment with cataclysmic bass notes. As he also illustrates on the latest Sumac LP, Cook has an amazing ability to pinpoint those notes that exponentially magnify the drums and guitar. “Overboard” provides a delicate and initially fruitful counterbalance to the power of Guidance. Like “Asa,” however, the track meanders too much in its own beauty. Thankfully, the medieval cathedral that is “Calla” quickly blocks out the sunlight. Final song “Lisboa” begins as a melancholic dirge before it climaxes in optimistic peaks that are shrouded by a mist of uneasiness. With its movement from fear and sadness into wary hope, this last track also contrasts with other song structures of Guidance, which typically slip from contentment into anxiety. 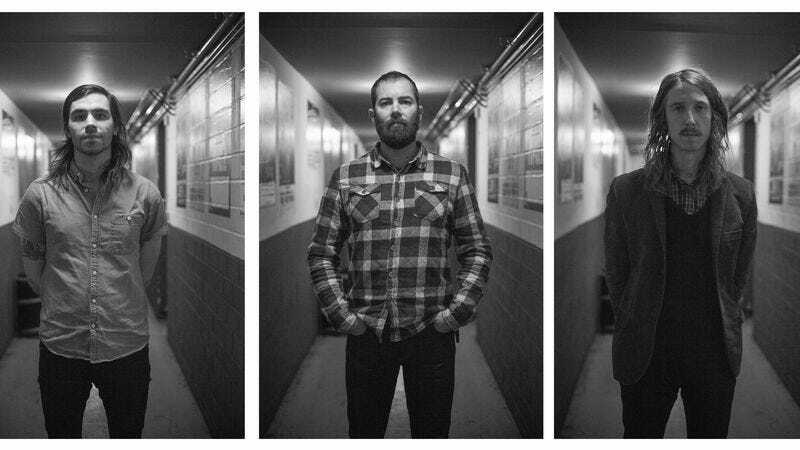 Russian Circles has been a band for nearly 12 years. Although Guidance may have a few minor shortcomings, the Chicago trio’s sixth LP is yet another example of its ability to examine and depict multifaceted emotions without needing to utter a word.